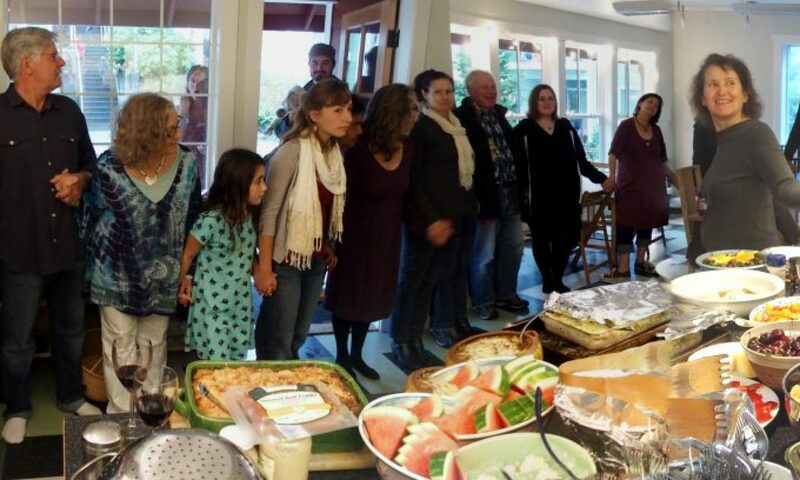 We transformed an existing 16-unit apartment complex near the center of town into an intentional ownership community that is multi-generational, mixed-income, ecologically responsive and socially engaging. Ross Chapin and JR Fulton told our story at the Green Building Slam at University of Washington’s Kane Hall. The sold-out event was hosted by the Northwest EcoBuilding Guild to present their selection of the ten best projects in eco-design and building in this part of the world. What do you get when you combine inspiration with old cable spools from Whidbey Telecom, used fire hoses, a grain silo, the front end of an old Dodge truck, part of an old rowboat, and a whole lot of community effort? You get a one-of-a-kind play structure that’s described in more detail in this article in Whidbey Life Magazine. You can watch the bridge tower being built in the time-lapse video below.